Our purpose is to strive for a just world that advances children’s rights and equality for girls. We have been building powerful partnerships for children for more than 80 years, and are now active in more than 70 countries. Our global strategy has a specific focus on girls, as they are often the most marginalised and most often left behind. We have committed ourselves to the ambitious target of reaching 100 million girls over 5 years, to ensure they can learn, lead, decide and thrive. This is our contribution to reaching the sustainable development goals, and in particular the goals on gender equality. Our organisation is transforming itself to meet this enormous challenge everywhere we work. We need bold, forward-thinking and innovative individuals to lead our country operations, driving change and delivering results that will allow us to reach our target of 100 million girls. As Emergency Response Manager, you will be responsible for the quality and effectiveness of Plan International's emergency response, recovery and rehabilitation program. In addition you will provide strategic leadership in all areas of emergency programming and strengthen the overall capacity to be prepared and respond to emergencies in accordance with accepted principles and practices, as well as strategically integrate emergency programming within the overall program approach. Our organisational values are designed to help everyone who works with us achieve our ambitious goals for children, especially girls. Please note that only applications and CVs written in English will be accepted. A range of pre-employment checks will be undertaken in conformity with Plan International's Child Protection Policy. 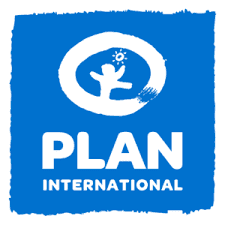 As an international child-centred community development organisation, Plan International is fully committed to promoting the realisation of children's rights including their right to protection from violence and abuse. That means we have particular responsibilities to children that we come into contact with.